If you’ve got a little baker at home, they’ll love helping a group of mice bake a cake by pulling tabs and lifting flaps to measure flour, pour in the sugar, mix the batter, put the cake in the oven and of course, drizzle on the finishing touches when it’s done! Nate loved baking up a frenzy and his favorite part of the book—cracking the eggs. 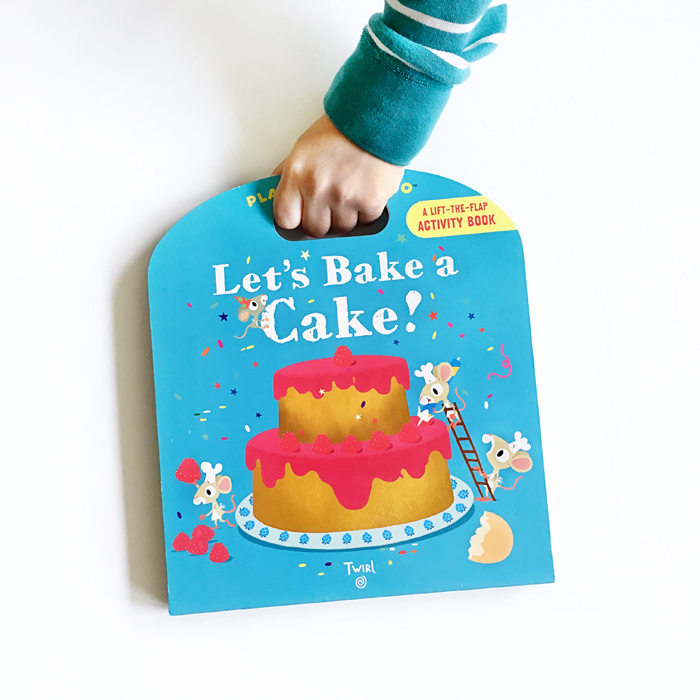 Let's Bake a Cake was written by Anne-Sophie Baumann, ilustrated by Hélène Convert, published by Twirl Books and distributed by Chronicle Books.